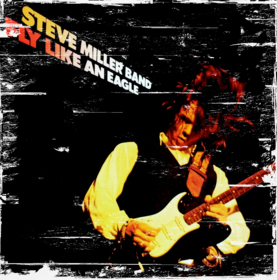 The Steve Miller Band. Boston Garden, Boston, MA. 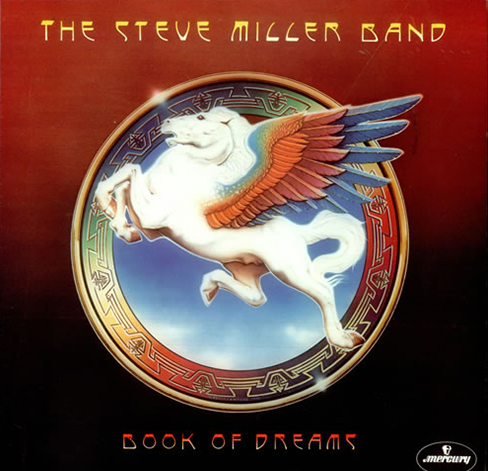 I was already knee deep into music and I recall Steve Miller’s record ‘Book Of Dreams’ in heavy rotation during this time. It turns out that a few of the camp counselors were heading off the Cape into Boston to catch the Steve Miller Band’s show that week. One of them happened to be my brother’s counselor; a certain Mark Dorfman who, for some reason, was known as Cram. You know how when you’re younger, you think everyone older than you is a lot older. Like for some reason you have no concept of age or time. I was 14 and Cram was probably 16 or 17, but I had him at 21 or older. A full-fledged adult. So Cram offers up that he’s willing to purchase a concert tee shirt for both my brother and I. Which is exciting stuff for a 14 year old. Something the guys back home in Jersey would offer much respect to. Even if I’d not actually attended the concert, it was as close as you could get at that age. So I’m all in on this and withdraw $10 out of the camp canteen and I hand it over to Cram, reminding him to, ‘….get the coolest one you can find and make sure it’s my size…’ Easiest enough instructions to remember, right? So the night of the gig comes and I think I might have been more excited than the actual counselor concert goers. I was going to get my first official concert tee shirt in less than 24 hours. This was all sorts of wrong. First off, it was from Steve Miller’s last record, not the one he was touring behind. And there was nothing special about this shirt that noted that it came from a concert. No tour dates, no nothing. Just a generic decal on front and nothing on the back. I mean, the back is just as important as the front! And it was an XL adult. At that time I was a medium kids at best. The thing was swimming on me. I was crushed. But not as crushed as I was about to be. 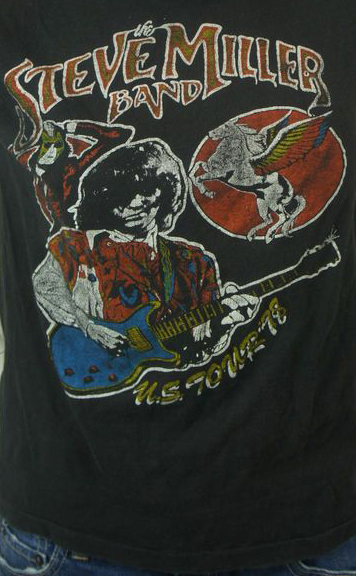 Now this was a concert tee shirt. The letter and color type on the front. The current tour images right there to ascertain. And the back had all the tour dates, including the Boston stop. Plus, it was the right size. I mean, I was happy for my brother, but what did I ever do to Cram to deserve this? Could he not simply have procured two tee shirts like he got my brother? I was too young and intimidated to ask all these probing questions so I slinked back to my bunk and threw the shirt into my chest, never to wear it in public. Mark Dorfman, if you’re listening, you owe me!